Dr. Mazin Gilbert is the Vice President of Advanced Technology and Systems at AT&T Labs. He leads AT&T’s Research and Advanced Development of its network and access transformations. 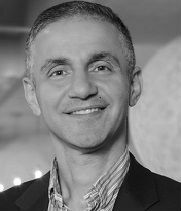 In this role, Mazin oversees advancements in artificial intelligence, software defined networking and access, digital transformation, cloud technologies, open source software platforms and big data. He has more than 25 years of experience working in industry at AT&T Labs, Bell Labs, BBC, and British Telecom, and in academia at Rutgers University, Princeton University, and Liverpool University. Author of the book, 'Artificial Neural Networks for Speech Analysis/Synthesis", 1992. Editor of the book "Artificial Intelligence for Autonomous Networks," 2018.